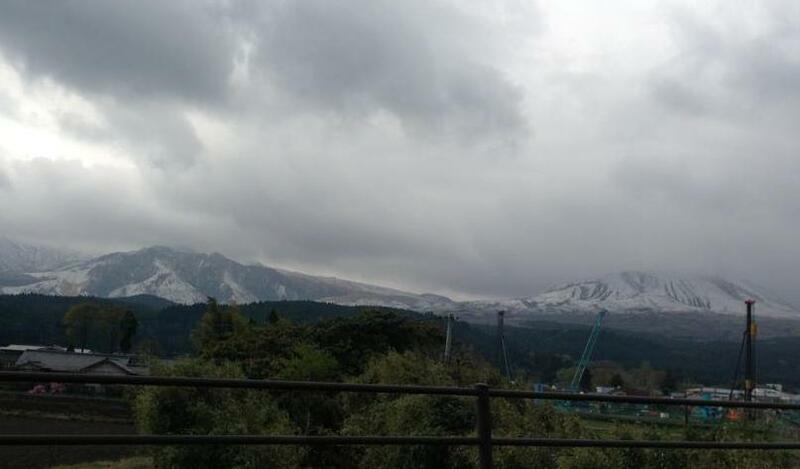 I just received this photo of a suddenly snow-covered Mt. Aso that greeted a surprised populace Saturday morning. It's so unusual to get snow after the cherry blossoms have bloomed, the sender commented. Aso's tea plants are due to be harvested in another month and a half, roughly, and I hope the unseasonal weather doesn't adversely affect them. Only time and taste will tell.